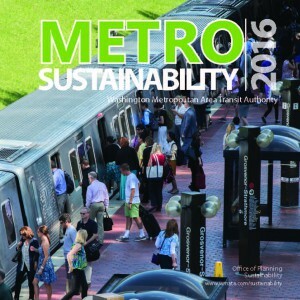 Data can help inform understanding of the potential impacts and mitigating strategies for potential changes to Metrorail’s span of service. 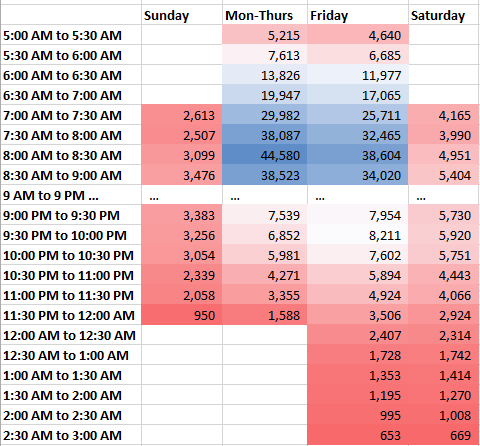 Metrorail ridership after 10 PM on Sundays, by month, since August 2010. The black line is the average, the yellow band is one standard deviation +/- average. The dashed line is the maximum. In June of 2016, Metro began closing at midnight on weekend nights to allow more time for track work over the weekends, in support of the SafeTrack program. 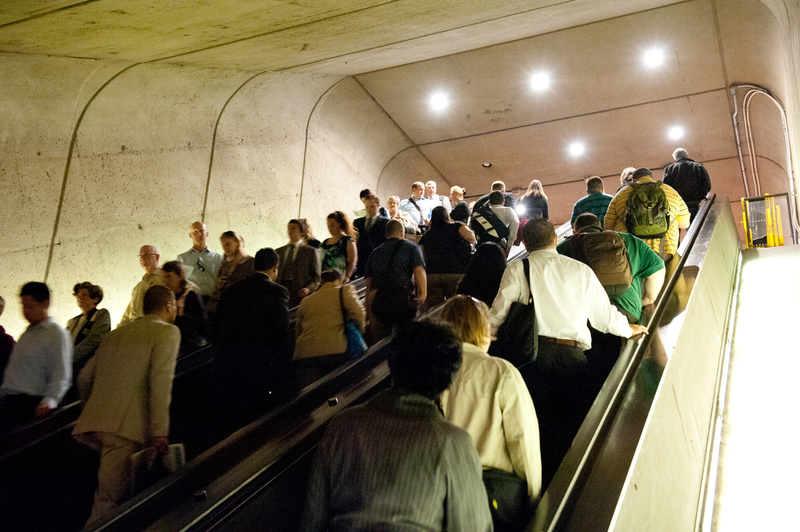 The Metro GM/CEO has recently announced he will pursue making this service change permanent. To meet the necessary track work requirements to get the system in a state of good repair – recommendations which the FTA and others have also made – the current budget proposal for FY 18 includes various additional early closure options, including ending Metrorail service at 10 PM on Sundays. Staff from across the agency are currently working to assess the impact of such closures on customers and determine what strategies we might employ to replace some or all of that rail service with alternatives. Similar to our data release related to SafeTrack, we are glad to provide ridership data to assist with analyses by our local partners and members of the transit advocacy community. 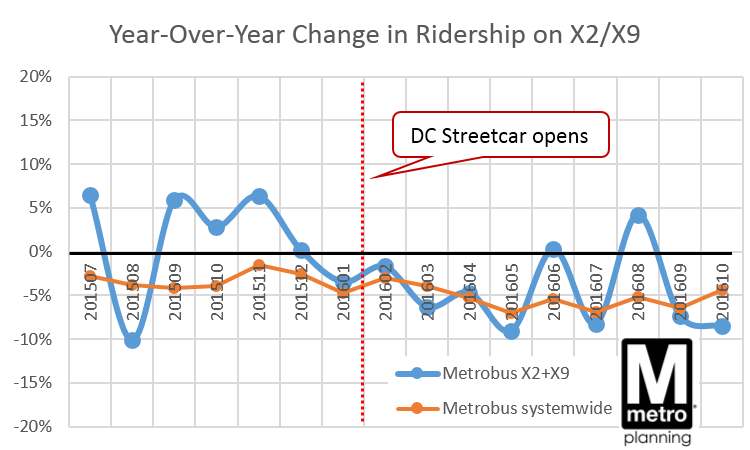 First, average, standard deviation and maximum ridership after midnight on Friday and Saturday, and after 10 PM on Sunday by month, station, and hour, from 2010 to 2016. 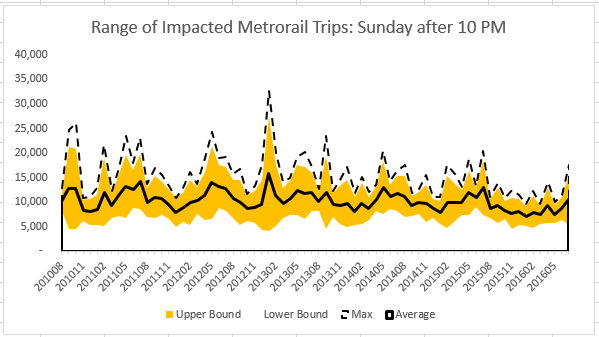 (Excel, 13 MB) The graph above illustrates one dimension of this data: the average, usual range and maximum system ridership on Sundays by month since August 2010. The biggest spike there is during Obama’s second inauguration weekend. There is a lot to learn from this data set. 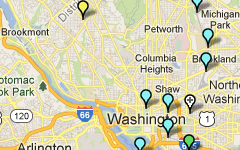 Secondly, we’ve put together Metrorail entries by half hour by day type. The full dataset is available for download, but the relevant data is presented in the image below, showing the half-hour segments that have the lowest ridership. Growth Mode or Stuck in Neutral? Or Both? Population and jobs are up, but regional travel is down – Why? The very nature of trip-making may be changing in this region. 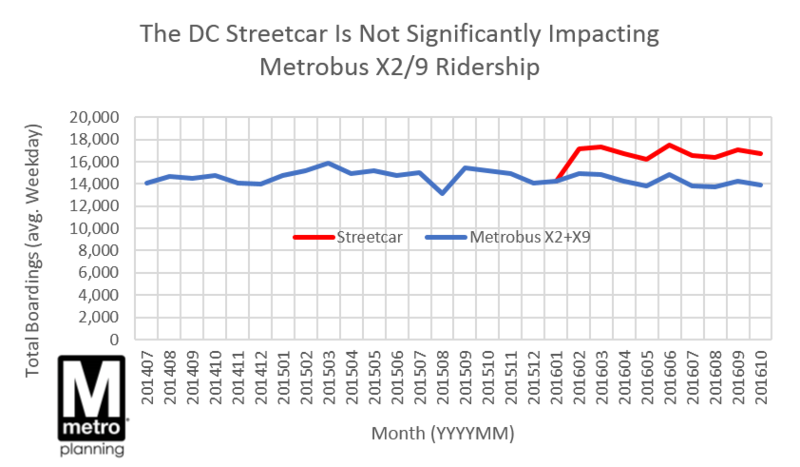 For several years, we have been reporting internally and externally about declines in Metrorail ridership. Our most recent rail ridership numbers show continued patterns of ridership levels that are five to eight percent below its 2009 peak, and despite gains in March, the trend in April and May suggests that the ridership patterns that we are seeing now are more structural than cyclical. 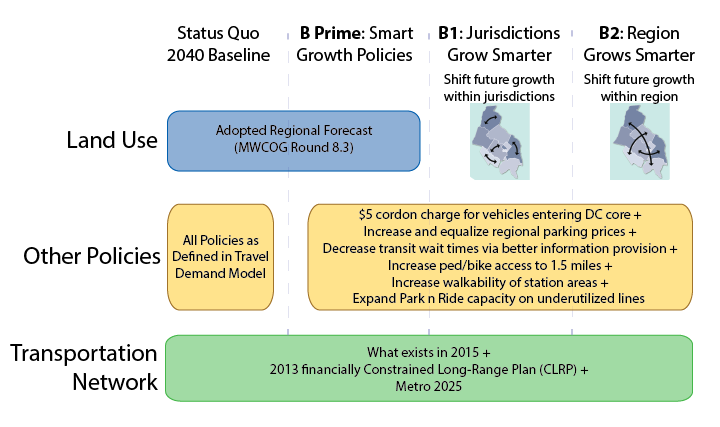 The implication here is that Metrorail may be operating at a “new normal” level that is still poised for growth, but growing from a baseline that has been reset at a lower level. Theories abound about why this is taking place – telework and rail reliability are among the most talked-about culprits – but it’s almost impossible to isolate one cause among many in a time period that also witnessed fare increases, gas prices drop to historically low levels, and wild variations in the Federal transit benefit. New data download features rail ridership by origin, destination, day of week, and quarter-hour intervals. 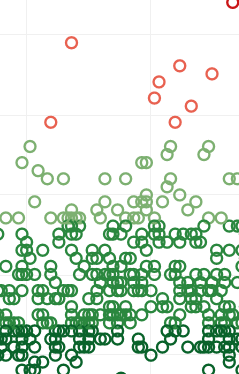 Subset of the visualization made by BioNrd aka Mike from our October 2014 data download data. As you’ve probably noticed, it’s been a while since we’ve released a fresh batch of Metrorail ridership data. Continuing the spirit of openness, we have recently uploaded data from October 2015 in CSV format. (The number of rows is too great for Microsoft Excel). 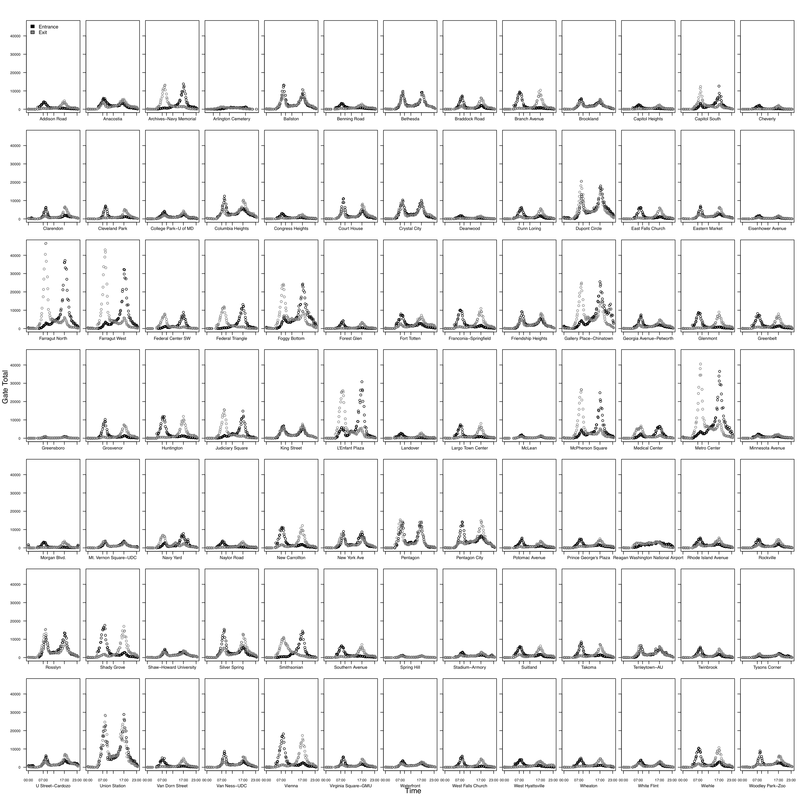 This new dataset includes day of week data, so you can begin to investigate impacts of evolving workplace policies such as compressed work schedules. You can also compare it to October 2014. 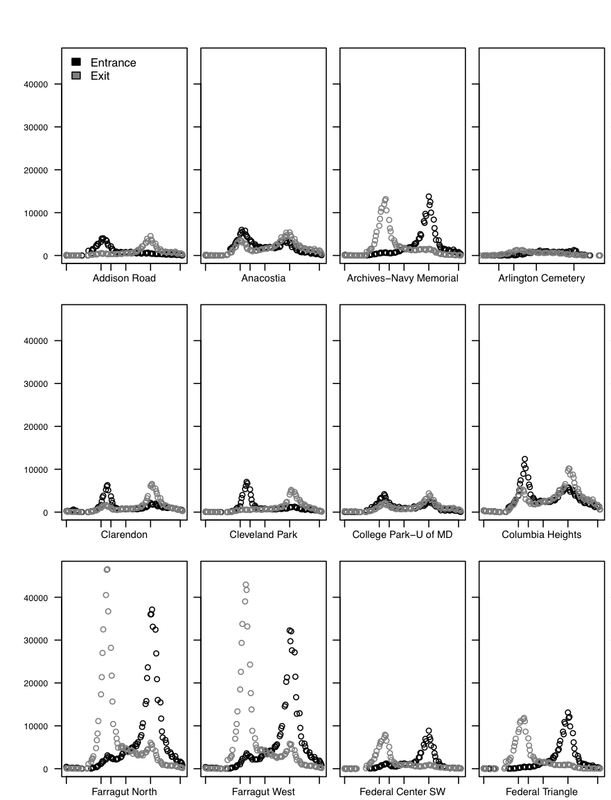 In the past, we have seen a lot of innovative analyses of the data we share. Perhaps the best so far was a visualization of Metrorail station entries and exits by station by “BioNrd” aka “Mike.” What else can we learn from this dataset?